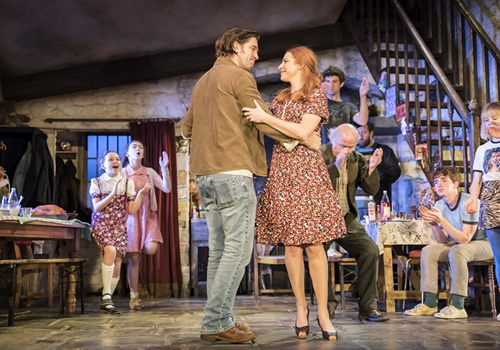 After a sold-out run at the Royal Court, Jez Butterworth’s new play The Ferryman plays at the Gielgud Theatre for an extended season. 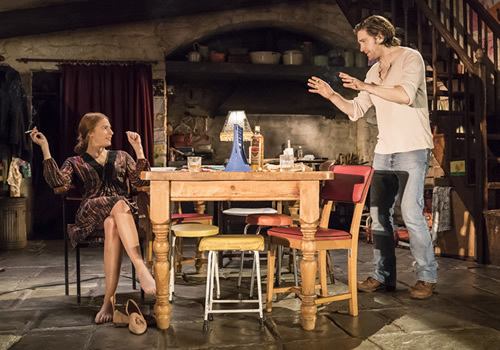 Directed by Sam Mendes (Spectre, Skyfall, Charlie and the Chocolate Factory), The Ferryman plays in the West End until January 2018. Set in Rural Derry, 1981, the Carney farmhouse is bustling with activity as preparations for the annual harvest begin. First there must be a day of hard work on the land, followed by a traditional night of celebrations and feasting. But this year, festivities are interrupted by an unexpected visitor. 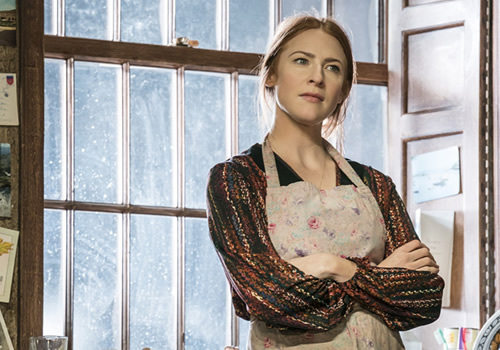 Originally starring multi-award winning actor Paddy Considine, Owen McDonnell takes on the role of Quinn Carney, opposite Rosalie Craig as Caitlin Carney. Further casting includes Dean Ashton, Declan Conlon, Kevin Creedon, Charles Dale, Sean Delaney, Justin Edwards, Saoirse-Monica Jackson, Terence Keeley, Laurie Kynaston, Mark Lambert, Catherine McCormack, Stella McCusker, Francis Mezza, Glenn Speers and Sian Thomas. 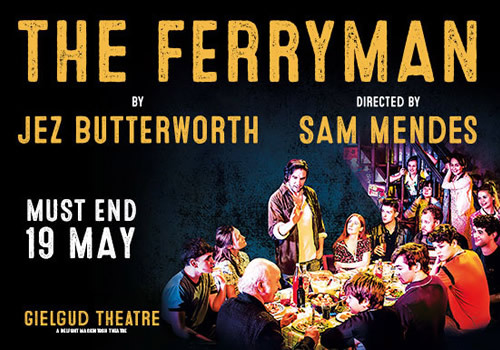 With a cast that will comprise 38 performers, including 12 children and a baby, The Ferryman is directed by Sam Mendes, with design by Rob Howell, lighting design by Peter Mumford and sound design and music by Nick Powell. Jez Butterworth’s previous plays include Jerusalem, The River and Mojo. 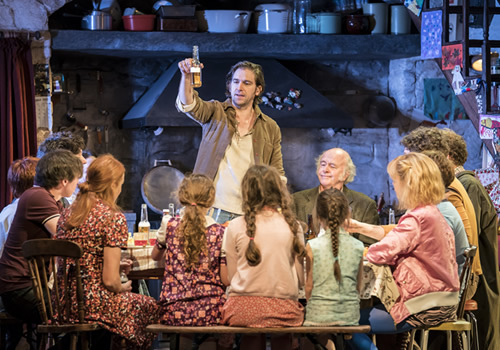 The Ferryman premiered at the Royal Court before transferring to the Gielgud Theatre in June 2017, running at the venue until January 6th 2018. The Ferryman is recommended for those aged 14 and up.